Even while I'm considering adding some colorful additions to my own apartment, I find myself drawn to this simple color scheme of black and white paired with pale and minty greens. 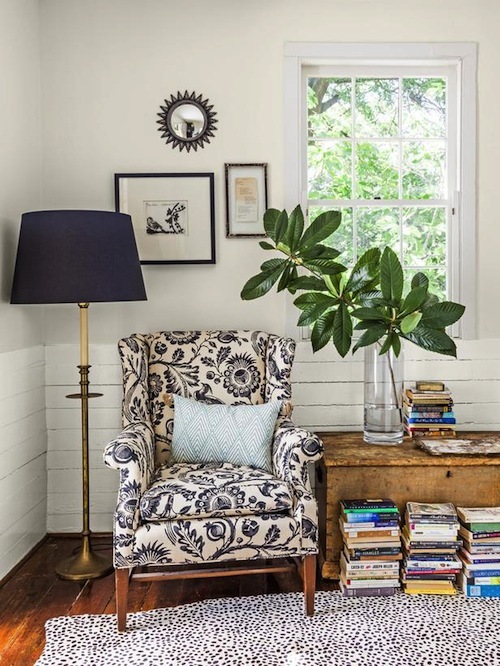 Even with this simple look, the Charleston cottage of creative consultant Haskell Harris is anything but plain. A mix of textures, patterns and materials gives this traditional home a modern flair. 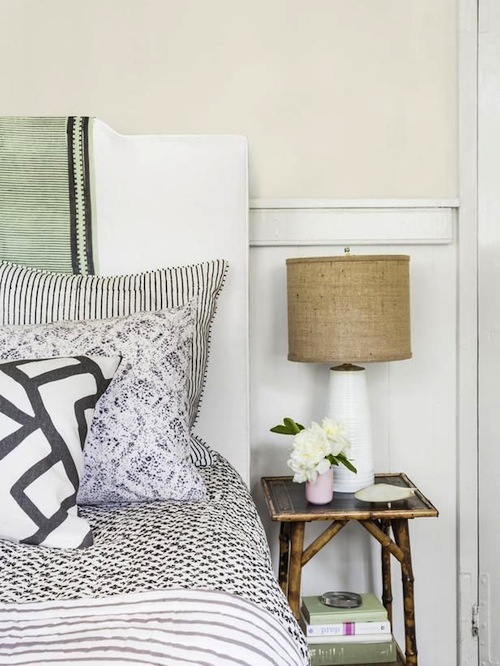 I adore this mix of graphic, floral and ethnic black and white prints in this bedding. The drape of fabric along a plain upholstered headboard is perfect for creating a bold statement which can easily be changed out season to season. This image is everything. 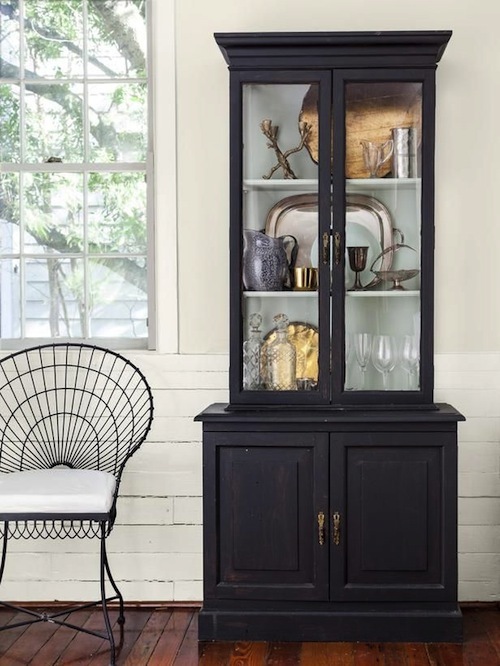 Black painting antique hutch with a minty green interior filled to the brim with vintage finds. Paired with a metal frame chair. Perfection. Why can't my home be this perfect blend of simple and bold? i love a beachy look & some of these styles could totally work in a city home!